There are many individuals who continue to live their lives without being ready and prepared for the consequences of harsh weather conditions. Surprisingly, there are actually a significant amount of homes all over the United States who still have not equipped their home with having a form of a cooling system. This means that in the extreme warm temperatures, homes can heat up so much that it can become almost dangerous to be inside the home. There are many homes that are poorly ventilated and have a poor circulation of air throughout the home that can even cause homes to be warmer inside than the outside during the summer seasons. Not having your home well equipped with a proper cooling system can cause many different dangerous health conditions to occur, such as heat stroke. Based on information from AccuWeather, there were more than 7,233 deaths that took place in America, between the years of 1999 to 2009 from heat-related incidences. It is no secret that the heat can definitely take lives of innocent people. Keeping your home well equipped with a quality air conditioner can prevent any type of serious medical condition related to the heat from occurring to you or anyone else in the home. According to the NSC, reports show that there were more than 240 for individuals in America, in the year of 2014 who died from being exposed to excessive heat conditions. Of course, there are more individuals that may be more sensitive and prone to developing heat-related conditions, but it is critical for everyone to be aware of the harsh consequences and to do something about it. Those who are more at risk include infants and young children, elderly individuals, animals, people who suffer from heart conditions, people who work outdoors for long periods of time, athletes, people who are on medication and alcoholics and even some drug abusers. If you believe that you could possibly be suffering from heatstroke then you want to make sure that you do not hesitate on calling the authorities. Heat stroke is a very serious condition and can even take your life in a matter of minutes. Heat stroke and many other health-related conditions are mostly all preventable. When you are able to equip your home with the necessary resources, such as a air conditioner you are able to prevent any of these incidents from happening. Keeping your home well equipped with an air conditioner can maintain a safe temperature even in the warmest Summers. Many homeowners need to understand that open windows and fans may not be efficient at properly cooling your home. If you currently do not have a cooling system in place, consider reaching out to an HVAC contractor to assist you in having that done. You want to make sure that you are well prepared before the warm Summers hit. 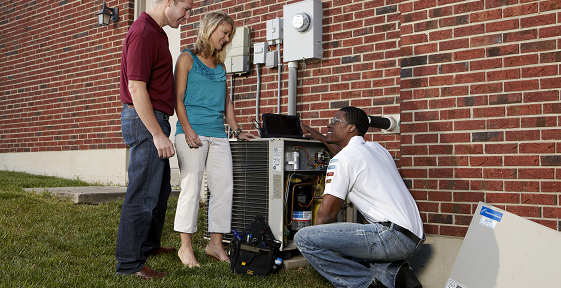 You can also search for your nearest HVAC contractor by looking at the terms: air conditioning replacement tulsa ok. Being prepared for anything is key to surviving. You never want to assume that you and your family members are going to be okay with your current resources. Being prepared for the worst situation of extreme heat can help to possibly save your lives. Your landscaping makes the first impression of your home or business to anyone passing by. It says a lot about who you are. Having professional maintenance of your grounds will showcase your property. We know about landscape maintenance Ashland Ky companies that can provide such services. Having a once a week mowing service during the season. Look for companies that will also weed eating and edge trimming, cleaning trimmings from driveways and walkways as well as any other debris removal. Have grass clipping removed from the lawn. Spring Cleanup is essential to prepping the grounds for the upcoming seasons. Last year’s mulch needs to be removed so there is no buildup that can harm plants. Removing the weeds, any dead plant remains from last year, and recreating a sharp edge definition to the edge of the beds, is essential. This is the time to get control of the weed problem by applying an herbicide treatment to the soil. Finally, apply new hardwood mulch to the beds. This is also the time to do trim work on the shrubs and any ornamental trees that can tolerate a trim this time of year. It is good to have monthly care for your beds and other ornamentals. Weed and dead plant removal, trimming of shrubs and trees, plus removal of any other debris such as fallen limbs will help keep the grounds looking in tip-top shape. Annuals may need to be replaced. Spring is the time to plant annuals that will give the grounds their color. If you have perennials, they may need dividing after they bloom to keep from overcrowding. Colorful plants are eye-catching and will bring attention to your business. It is a great way of advertising. Fall cleanup is just as important as spring cleanup. Leaf removal and mulch plant protection for the upcoming winter needs attention. It is best to plant some perennials in the late fall. Winterizing the beds properly will help ensure a beautiful spring landscape for next year. If you use an irrigation system, it needs regular checks on the lines, rain sensors, heads, backflow preventer, and zones during the growing seasons. It will also need to be winterized to prevent freezing problems. This means any water needs to be removed from the leads and lines. During the winterizing process, the system needs to be thoroughly checked. This also includes any water features you may have installed. Water features should be included in your spring cleaning program as well as proper winterization. Winter landscaping services generally focus on snow removal. Driveways and parking lots need to be available for use. Some landscaping companies provide this maintenance service. Mosquito control has become a must-have. No one wants to have a beautiful landscape that they cannot enjoy due to being bitten by insects every time they go outside. Some landscape maintenance companies offer mosquito control packages that will keep those biting bugs at bay. Making that first magical impression, and lasting impression a positive one may be as simple as hiring professionals to keep your grounds in immaculate condition. Great landscaping services are available in Ashland, Ky. See if they provide what you need for your landscaping needs. 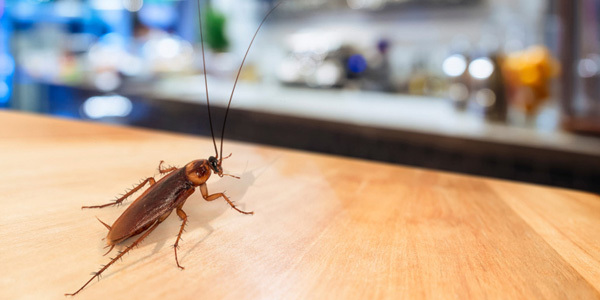 If you are a homeowner, you may experience the need for pest control. If that is your issue, there are rodent control services temecula ca that will help you clear your home. When you are dealing with rodents around your home, there is a licensed professional waiting for your call. With that noted, you can have your home clear in no time. There are many chances for you to gain from having your home evaluated by a professional in the field of pest or rodent control. When asking for a professional to look into how to control rodents, it may be embarrassing to you. If you’re are in a situation that involves needing professional rodent control services, there is a licensed professional ready to help in Temecula, California. If you decide to continue without these services, you may risk losing your home. If you need more information, you can research the topic at environment pest control services. 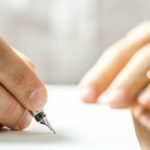 If you own a business, you need to have these services done at least once every year. To put it another way, your business will not have any complaints if you choose to hire a licensed professional for rodent control. The important fact to realize is that rodents populate very quickly. With taking care of your issue, you may face a building that will be condemned. Mainly, you can smell a rodents droppings. If you are having foul odors in your home or place of business, you can call to speak to a licensed professional to handle your issue. To clarify what you have been experiencing, you can take a picture with your camera. If the professional needs to see what you have saw, you can refer to your own evidence. Some places have had experiences where they have seen droppings outside of their building. If this is occurring, you can call for help through customer service at a rodent control business. For more information about what you could see around your home or business, you can research at an article about controling rodents. When you are waiting on pest control to arrive at your home or business, you can help by keeping your garbage under control. Most rodents go through the garbage to see if there is any food. The pest control will be available for emergencies. For that reason, you can call pest control 24 hours per day. If you have to leave a message, you can make sure to once the prompt has answered your call. In conclusion, your home’s value will increase once you take care of your pest situation. With this intention, your house will be the best gift you have ever received. In fact, you can call the same licensed experts to come and check your home every year. If you own a business, it’s best to close down until the process is complete. Indeed, you will be thankful for choosing to have pest control look at your home to see if you need any additional home improvement tasks to be done. 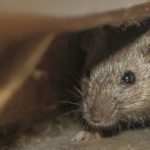 You would think rats and mice wouldn’t be a nuisance during the winter months, but professionals say they become even more aggressive when cold weather hits. Just like humans, rodents also look for warm places to burrow, and they’ll try to find ways to get into your home. They are intelligent, nimble and extremely adaptable: rats spread throughout cities and communities. 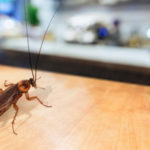 The professionals say when it comes to any residential pest control services chicago il residents should have consistent and on-going maintenance. In Chicago, rats have become the number one scourge. The once light-shy rodents have become fearless, and even worse, they are becoming resistant to poisonous bait. Most pest controllers say the fight against rats already accounts for most of their service requests. Because rats procreate so frequently, with large litters, professionals are having to service the same places every other month. Certain types of poison are ineffective because the rodents have become resistant. In resistance areas, only highly toxic baits are effective. However, these may only be used by trained professionals. Attempts by Chicago to curb this on-going plague has failed because the animals repeatedly found always retreat and return. Driven by low temperatures that cause rodents to look for warm places to shelter, they easily squeeze through small cracks and fixtures. These animals will gnaw through doors and roofs, find entrance through sewage systems and water drains, and duct systems. Where there is a vulnerability, rats can invade. Peppermint Plant. Many homeowners swear by this plant because it exudes a strong smell that is particularly unpleasant to the rodents. Place these plants by doors and windows, and in corners of the home. Furthermore, in the herbal medicine section of a grocery store, you’ll find peppermint oil. Cotton swabs soaked in this essential peppermint oil can be placed in vents and vulnerable areas within the home. Steel Wool. Wedged inside of cracks that are used by mice to access the house, the material serves to block the path, as it is more difficult to nibble. Cats. Not always the best solution, especially if you’re not a cat lover, but cats do keep mice at bay. It may take a while to notice you have one mouse, but that quickly changes as they multiply. The first suspicions are noises at night. Mice like to find warm, dark places for nesting and reproducing, so noises coming from the walls and ceilings are initial signs. You’ll also notice the small gnawed wood, paper products, and wires. Another unequivocal sign is excrement. Not only through urine, but mice can also be detected through the feces. They look like dark pellets, about the size of a grain of rice. Usually, there are several excrements scattered, more or less, all in the same area and along a path. If you have found the confirmation of mice or rats in your house, do not hesitate to call a professional. They reproduce quickly, and just a few can turn into dozens, so pest professionals say don’t wait or you’ll have a bigger problem to deal with. Your home includes the entire square footage of the building and its parking structure. So you want to have a garage door that accents your home. It is after all, a very important part of the image your home presents to the world. Your garage door is the face of a large portion of your home. It should accent or add to the general look you’re trying to capture. A stucco home in Arizona should not have a metal garage door; instead it should probably have a wooden door, which clashes less with the stucco. Your garage door company Phoenix AZ could point out some other attractive options for stucco homes. Homes are finished with a brick façade, wood and vinyl siding, stone and stucco. The home’s façade plus the roof along with the other features of a home dictate which garage doors work with the home’s design. Luckily, the looks of garage doors has changed dramatically over the years. Today, you can find garage doors that complement a wide range of home designs. There are glass, steel, aluminum, wood and composite garage doors, plus doors made of a mix of materials. Single Car Garages have with a width of 14 feet by 22 feet in length and a door opening of 14 feet wide with a 7 feet height. Double Car Garage Doors can range from 18 to 24 feet wide with a 7 feet height. Triple Car Garage Doors can be up to 35.4 to 39 feet in width with a 7 feet height. RV Garage Doors usually run 8 feet tall by 16 feet in width. Garage doors can be made of steel, aluminum, vinyl, fiberglass, Masonite, sectional, tilt-up, plain glass panels and decorative glass panels. The doors can be manually opened or an automatic opening system and remote can be added with the garage door. Another consideration is whether or not to insulate your garage door. Today’s garage doors form a tighter seal against the home’s façade; still the outdoor heat or cold against the surface will affect the interior temperature. A garage door that is attached to a home with a room above the garage would benefit from having an insulated door as it may positively affect the energy usage for that part of the house. Garage doors are very large and because of their size more susceptible to being damaged during high winds unless they are reinforced properly. To ensure they are storm ready, they need to have specific weather-hardy hardware, added bracing and a heavier gauged tracking system. A built-in passive reinforcement system indicates the door is storm ready. When it’s time to replace your garage door or add a garage to your home, make sure you do your research and have considered all your needs before you choose your garage door. The design, the function and the safety all have to be considered, so choose wisely. Glass installation is very popular and modern these days, people can make the value of their homes go up, simply by styling their bathrooms with glass doors around bathtubs or changing their windows all around their homes. There are many companies who offer glass installation, which can make the process easy and efficient. There are many different styles of glass, and customers can choose what is right for them. From clear glass to colored glass, single or double thickness, the possibilities are endless. People can choose from a variety of styles and glass decor, that can change the whole look of their bathrooms. Glass windows also come in a variety of styles and with different purposes. It is important to choose a glass window that will save you costs just from the efficiency of what they can handle. Many glass windows now actually can help save the costs of heating a home or even cooling a home just from being installed. Many companies can come and install brand new glassware around your home or can refurbish and change broken windows and glass that is already in place. When choosing a great company to handle your glass installation needs, make sure to shop around, as many companies offer different prices for the same jobs. Depending on where you live and what you need, glass installation Winter Haven FL offers a variety of professionals in this field. Glass installation can be done for both residential and businesses alike. Residential glass services can consist of anything from windows, vanity mirrors, tabletops, to shower enclosures. For businesses, glass services can consist of store front doors, to mirrored walls and bathroom mirrors. Whatever your glass needs are, there is professional glass installing companies that can take care of it. Nothing is more beautiful than a sparkling mirror, or a glass door in which you can see what stores have to offer through windows. Having some glass shelves installed in a bathroom can do wonders in both looks and organizing. Glass installation companies can handle whatever your idea may be and can put them into motion. Not only is glass easier to clean, it won’t chip like your average tiles would. To make a more beautiful living space, and to keep your home warm in the winter and cool in the summer, special glass services can be rendered. All customers should ask their glass installation company what types of glass can be used, and what types of warranties their companies hold. 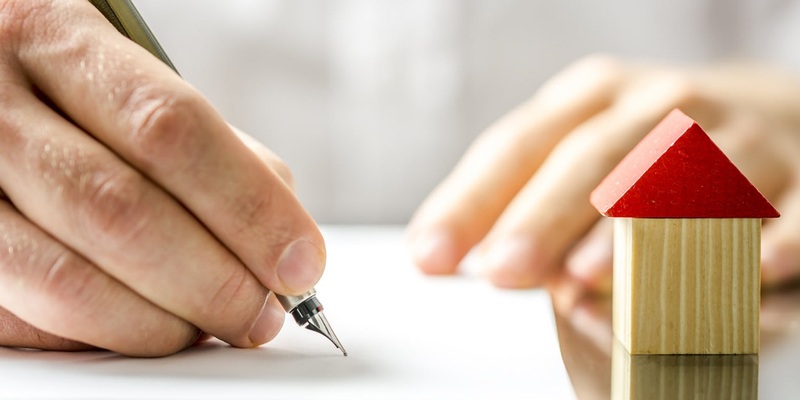 Having a warranty can do wonders as well, because if anything goes wrong or something breaks, the company will be able to handle it with no extra cost to the customer. To ensure you get the best quality and warranty around, make sure to do your research first. Call up or look online at professional glass installation companies, and first get a quote. Many companies will want to know what you have in mind and will work with you from there to ensure quality service. 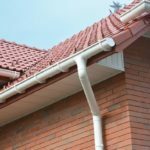 If you want to add more style to your house when the weather forces you to stay indoors, then consider installing something to replace your gutters. You know how most houses have traditional closed gutter downspouts to guide water from the roof to the ground, right? Rain chains play the same role, only they are more pleasing to the eye and they tinkle musically as rain water falls on them, increasing in tempo as the water pressure grows with the strength of the rain. According to Wikipedia, this system is a popular decorative feature in Japan, where they were first used, and consist basically of a group of metal cups, with a hole in each, chained together, like a necklace. They transport water from the roof to a drain or storage container, since some people collect rain water for household use. This technique has also been seen in South America, in areas where chain is easier to lay hands on than manufactured downspouts. 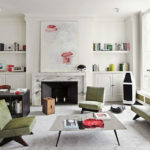 The New York Times claims that although you can buy them, you also have to build them because they are easy to install and can be very attractive when viewed against the sunlight as well. They hang from the hole that used to hold the downspout. There are so many companies in the USA that install for a fee, even some purchases come with installation services. Some vendors of this innovation have confirmed that the device can be used even if you don’t have gutters in your home. But they really depend on a vertical water source to function correctly. 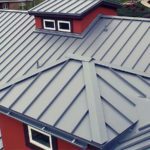 If you’ve got a roof where water is arching off instead, the chain may have difficulty catching or transporting all of the water in certain rain conditions. In this case, an extra utensil for collection, like the ceramic bowls used in ancient Japan, comes in handy. And they can remain hanging all year long, even in the winter, because they can withstand the extra weight caused by the snow and wind. Even high winds that are supposed to make the chains swing too much as some people fear, are just rare occurrences. In fact, one vendor in Southern California reports that their headquarters (which has rain them installed, of course), experiences Santa Ana winds in the fall with 50 plus mile per hour gusty winds, and the device is not bothered at all. But like every other invention, these water channeling devices have their disadvantages, one of which is a limited flow direction. They can’t direct water away from your home. 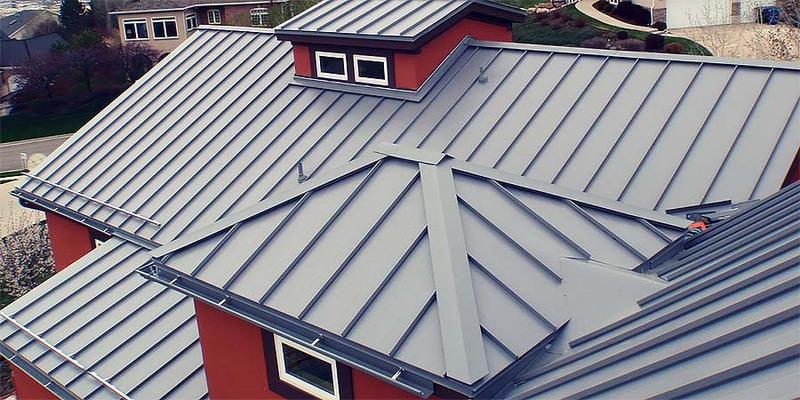 They simply collect water from the roof, which means water seeps into the soil, next to your home’s foundation, a perfect recipe for flooding, mold and other water damage. What is it going to be? 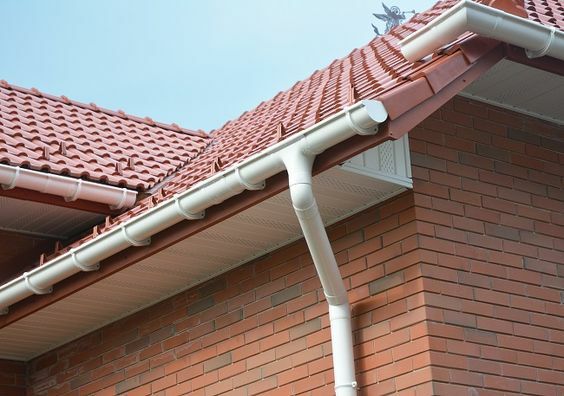 Will you add style to your house by installing something new that looks amazing but could hurt your foundation if the water flowing down from the roof has no gutter to lead it away from the soil near your walls? Whenever you have lived in a house for several years, you have to inspect every corner of it. Primarily, you are looking for any home improvement tasks that are needed to keep your home looking brand new. Most importantly, if your home has aged, you need to inspect it for mold. Mainly, this is a fungus that can grow in damp climates and cause allergies, watery eyes, itchy skin, and asthma. If a person is developing these symptoms and it seems to worsen in their home, there are professionals that can help. Mold removal Seattle WA is looking to help those that are developing these symptoms and want to feel better. 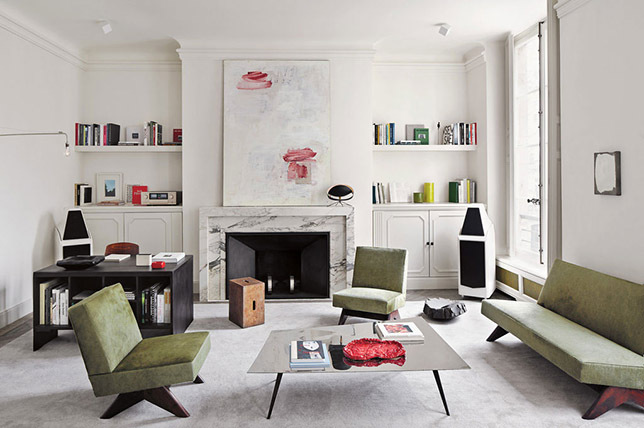 While living in your home, you should feel comfortable with your environment. If you have a tendency to react with those symptoms mentioned, you have to call a professional mold remover to assist you with regaining the highest level of comfort again. If you are unsure of what to expect, you can research at this link provided for you on what to look for in a mold remover specialist. This will help you understand that you can have your house inspected every year by someone who knows what to look for. Sometimes, children bring in mold from outside due to playing around certain plants. If you have a child that loves outdoor adventures, you can have them take their shoes off at your door. This will help you control some of the mold spores that you can’t see in your house. If you have a doormat, you can have your child use the doormat to shake their shoes. In some cases, it helps with dirt from piling up in your home. It doesn’t completely solve the problem, but it does contribute to helping you as well as your family. While you are sleeping, it’s important for you to breathe clean air. If you have a home or an apartment that is mold infested, you will see the mold on the ceiling, in the bathroom, or even in the kitchen. Mold has a tendency to develop in small spaces because of clothing, shoes, and other items that mold spores can land on. In most cases, you can’t see mold spores without a microscope. As a result, mold begins to circulate in your home and multiply. If left in a bad condition, it will continue to grow and infest every room in your home. If you need more information about molds, you can research the topic at Medical News Today. In the end, you will be glad to have your yearly inspections done in your home. In case of an emergency, professionals are waiting to help you with your home improvement issue. It’s best to have a mold inspection as soon as possible if you are moving into a new home. That way, you will have the best health and strength while you stay in your house. From time to time, you can choose to do your own mold inspection. To gain a better perspective, you can research at the links provided within this article. As you live in your home, you will feel like it is a place of peace. It’s worth you investing into those mold inspections.